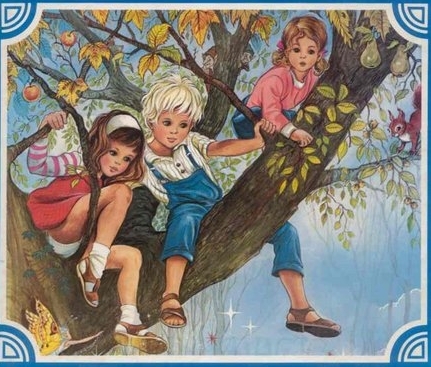 This is a picture from the cover art of a book by Enid Blyton. When I was younger, she was by far my most favourite author. Her books inspired and delighted me. I will never forget the endless joy and imagination I gathered from reading these books. I will read them all again one day. She is no doubt one of the most brilliant authors I've ever read.